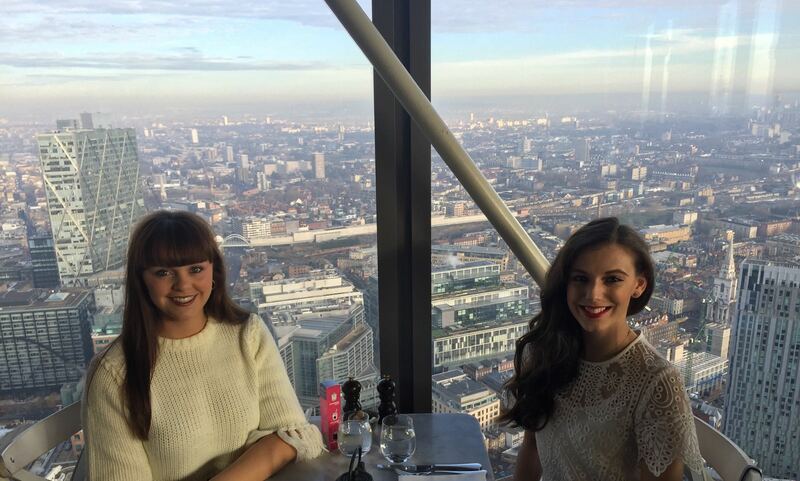 My experience in Duck and Waffle on began when I was transported up 40 floors (very quickly may I add!) in the glass lift to the panoramic restaurant. 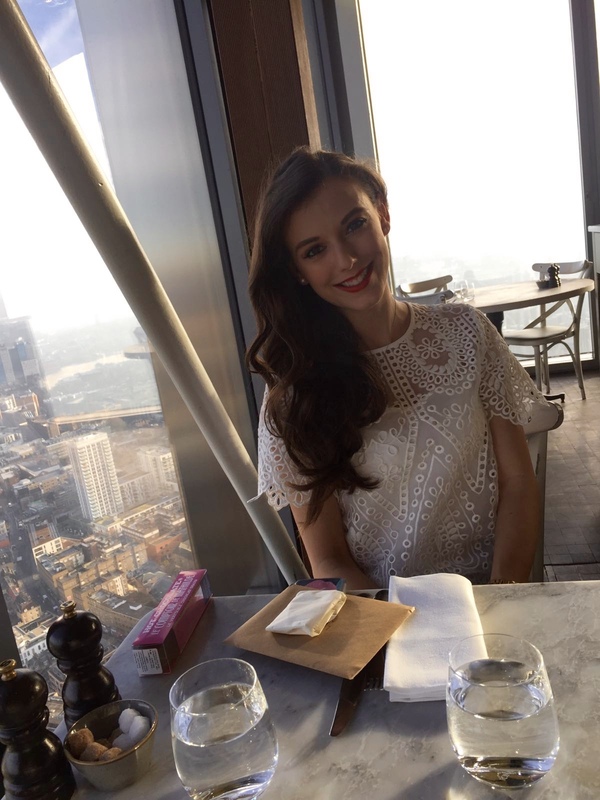 After having a short wait in the bar area as our table wasn’t ready, my friend Livvy and I were taken to a beautiful table right next to the window so we ccould look out over the beautiful city while we dined. 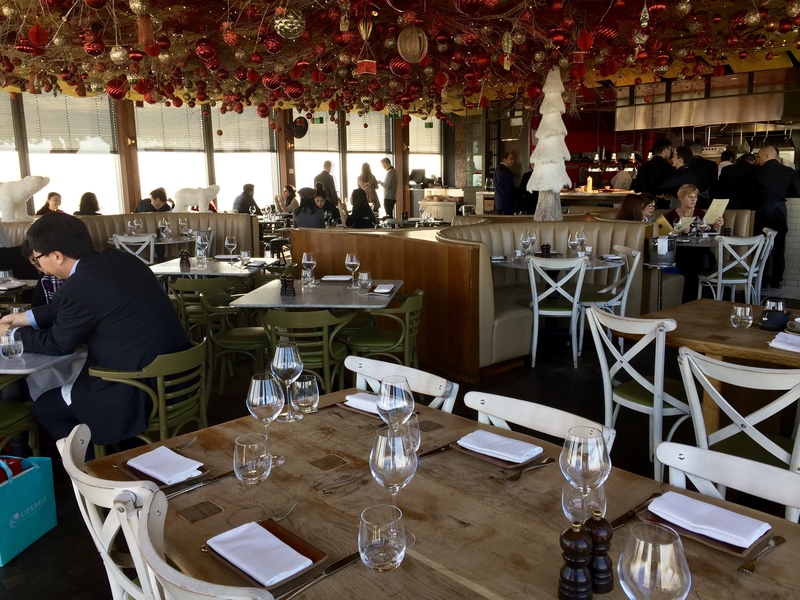 The restaurant had been suitably decorated for christmas with festive red decorations hanging from the ceiling with Michael Buble’s version of ‘White Christmas’ quietly playing in the background. 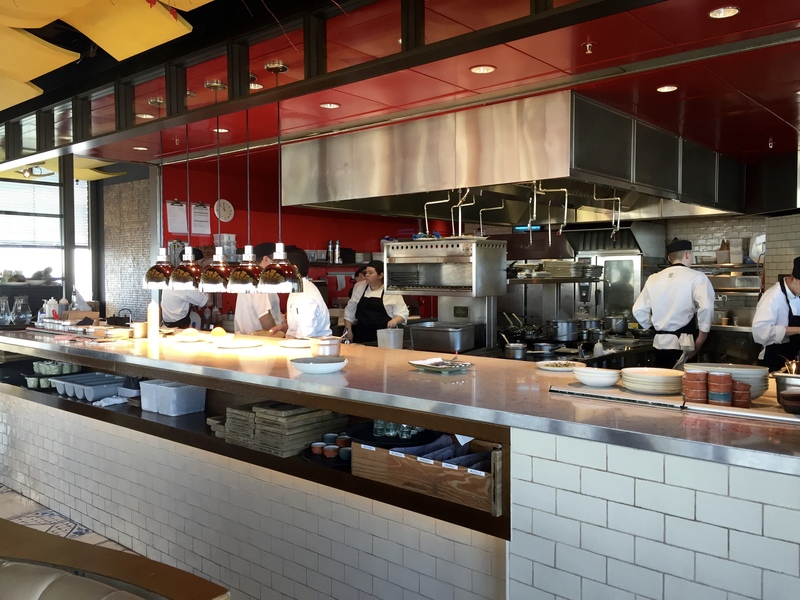 The open kitchen meant we could see the skilled chefs cooking up the most delicious looking food. We both ordered the same dish: Duck Egg En Concotte. 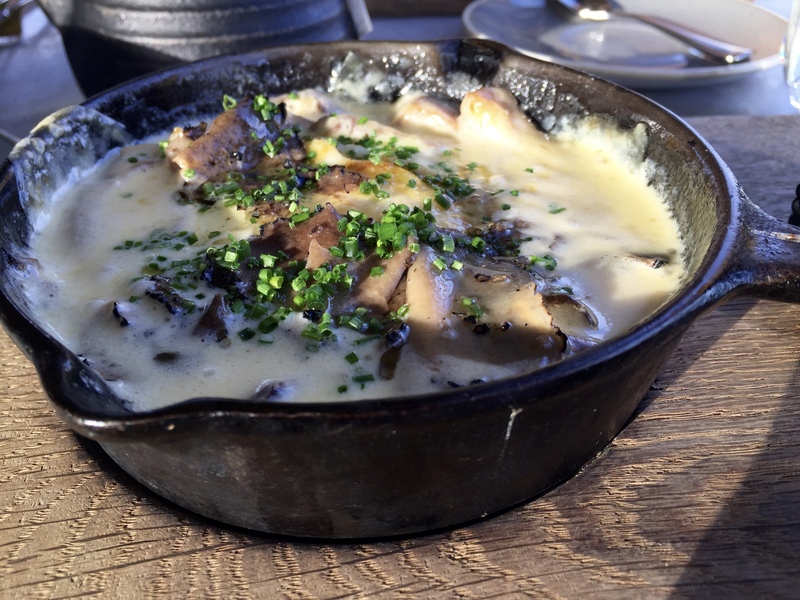 It came cooked in an adorable little pan with the duck egg in the centre surrounded by a generous portion of wild mushrooms, truffle and mouth watering Gruyère with a side of soldiers. This dish was PERFECTION! 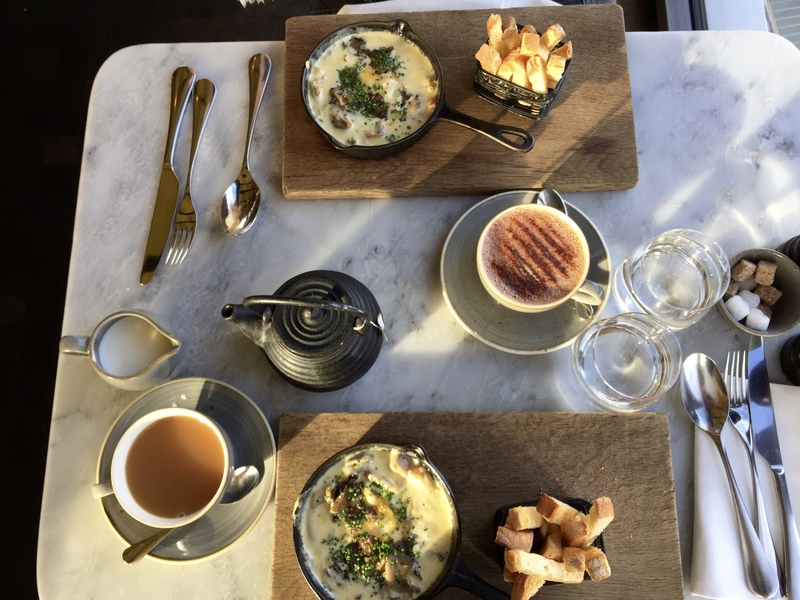 The cheese and truffle made the breakfast very indulgent and dipping the soldiers into it was super satisfying! The duck egg had so much flavour and even when I was full, I ‘soildered on’ (excuse the pun!) as it was too tasty not to finish! Washed down with English Breakfast tea for me and hot chocolate for Livvy, this was true breakfast perfection! 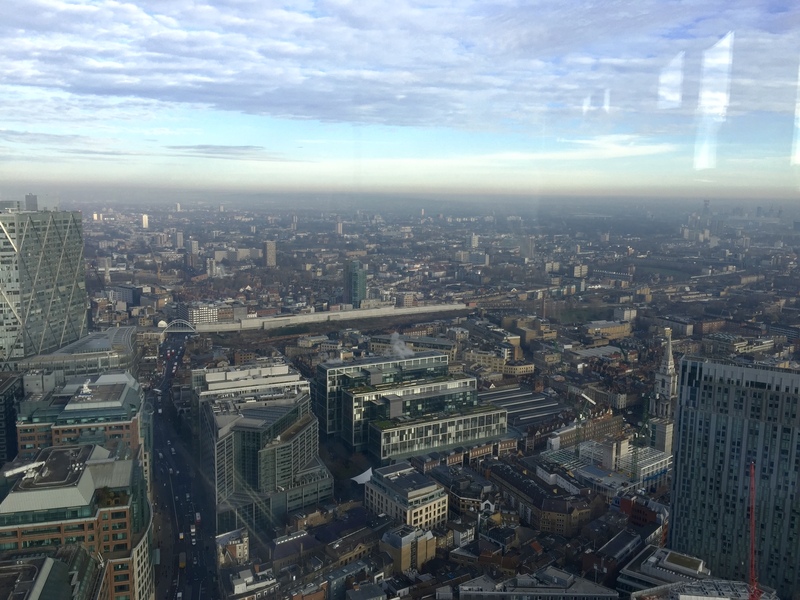 The views of London are breathtaking from the highest restaurant in London, particularly if you are lucky enough to have a beautiful sunny day as we unexpectedly did in December! This dining experience is much more than just the views. 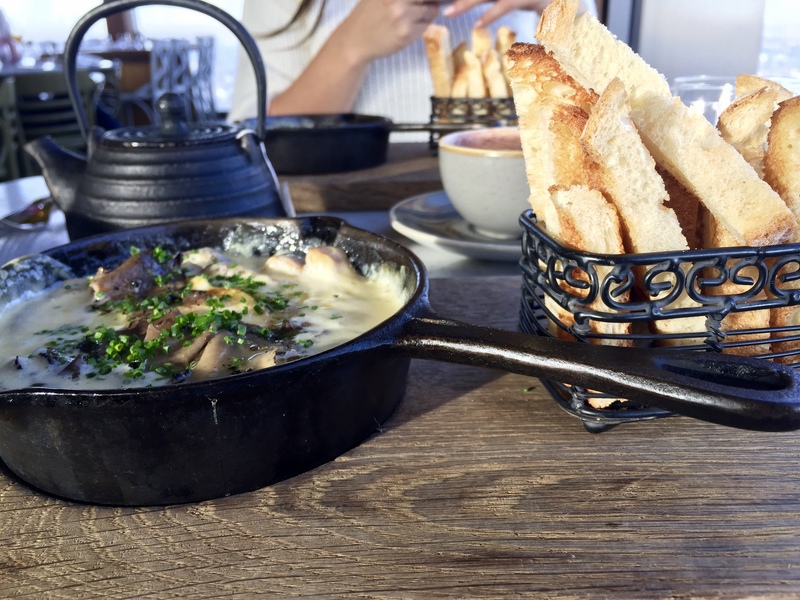 The food is cooked and presented beautifully and it exceeded my expectations! 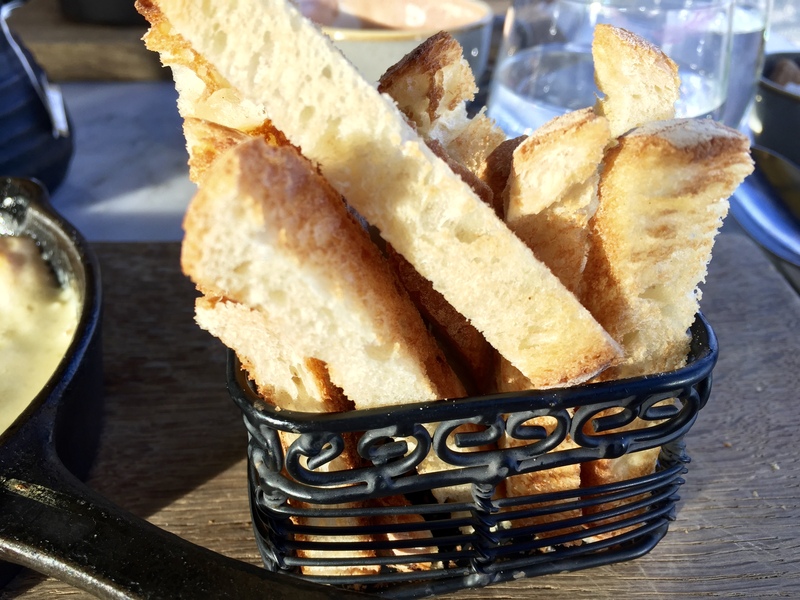 What is your favourite dish when you dine out for brekkie? !